Don't settle for weak performance. The all new SB Chevy Street Warrior delivers brutal low-end torque and killer horsepower throughout useable RPM range! The battleground has changed in the performance world. Most of the intakes on the market were developed 20+ years ago when typical engines were 283-350 cubic inches. Not so anymore. 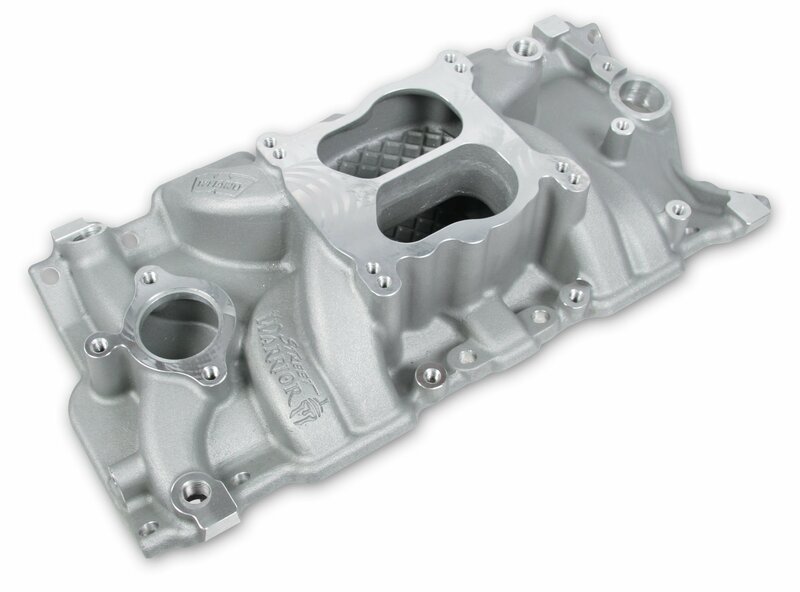 With the popularity of larger stroker engines and more efficient cylinder head and cam designs came the need for intake manifolds to support these combinations. Designed with Computational Fluid Dynamics software, the Street Warrior intake rises to the challenge and delivers the performance to conquer the competition! Want maximum horsepower and torque from today's engines? Choose Street Warrior! Front Height= 3.50" Rear Height= 4.50"